Ann Nichols, together with Anne Wynn-Wilson, was one of the founders of the idea of the Quaker Tapestry. For over 30 years she was one of the four teachers who taught the embroidery stitches and techniques. Thousands of people in many parts of the world learnt from them. 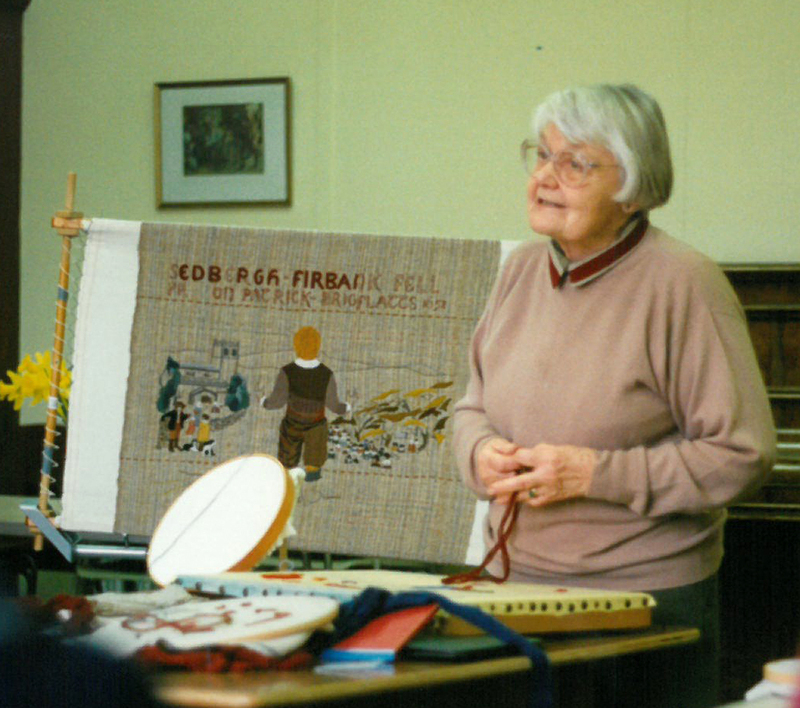 She was a superb storyteller, teacher, enthusiast and ambassador for the Quaker Tapestry. 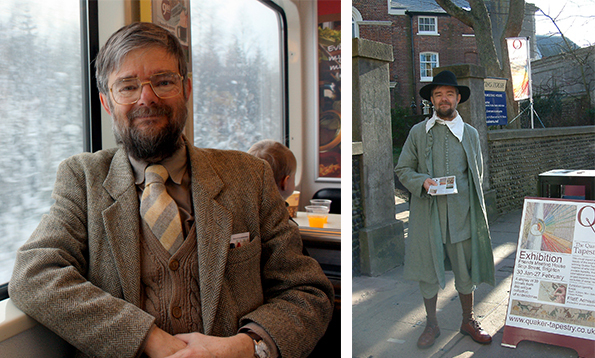 The Quaker Botanist panel was just one of several of the 77 panels where she played a significant role. The four teachers kept this one panel for themselves to embroider, when they realised that they hadn’t done much of the embroidery because they were so busy teaching. She and her husband Harold worked together on the research for the Botanist panel before the design was created. They always knew that one day they should write a book about this subject due to the lack of resource available at that time. The book, The Golden Age of Quaker Botanists was published in 2006. Sadly, Harold died during the research for the book so Ann completed it using his work. 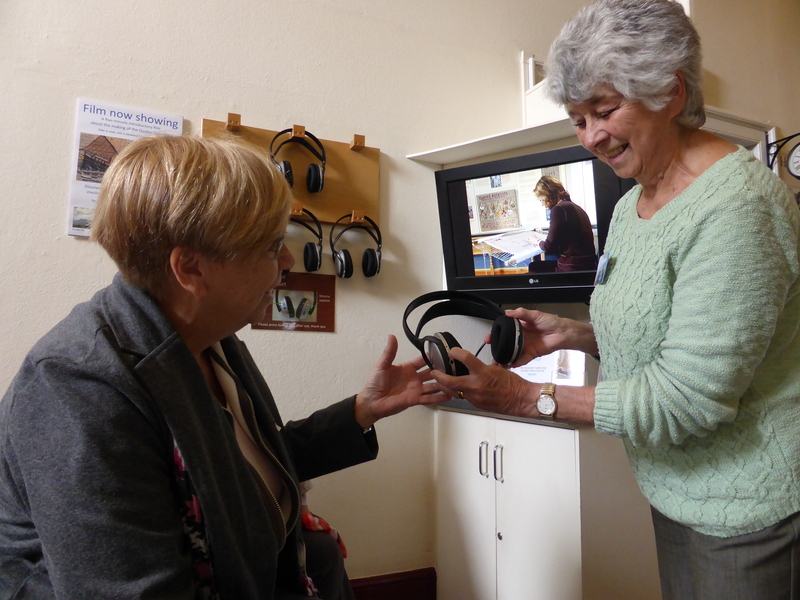 Harold’s attention to detail and Ann’s storytelling brought this book to life and it continues to be a treasured publication within the Tapestry shop. When the community embroidery was in production Ann’s skills as a communicator and enabler were invaluable. She was a great peace maker, always the one who gently stepped into the middle of any minor disagreement to bring back the calm. Her sense of humour and enthusiasm for life were incredibly infectious. Ann’s work with the Quaker Tapestry will always be a legacy to treasure. A strong supporter and active advocate for the Quaker Tapestry, she believed in the power of the Tapestry panels and their stories to convey the essence and heritage of Quakerism. Well worth the entrance fee for the educational aspects alone!